Ever since 2003’s career high, Sing The Sorrow, AFI have taken in cold, electronic nuances (Decemberunderground) and all out stadium-baiting rock (Crash Love). Both were enjoyable records but nowhere near what the band were capable of and revered for. 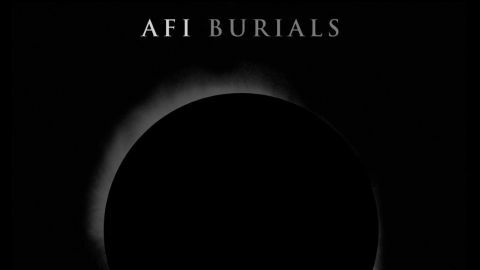 Burials wipes the AFI slate clean and harks back to darker, despair-filled days while having a distinctly modern, vibrant sound. Lead track I Hope You Suffer flows from the intro of The Sinking Night in waves of martial drums and sensual vocal lines and, despite Burials misstepping a tad with both Heart Stops and Greater Than 84, this is the sound of a band absolutely re-energised, frontman Davey Havok sounding as passionate as he did when the band started out. The Conductor is huge in scale and Anxious takes back the night with the old AFI slipping into view with wonderful gang harmonies and more ‘Woah’s than you ever knew you wanted. The Face Beneath The Waves closes the album on dark, industrial tones that encapsulate a band regaining their clarity of spirit and ready to channel the darkness once more.